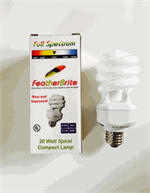 This great revolutionary new product for feather pluckers, feather pickers and birds with behavior problems has been on the market since January 2005. 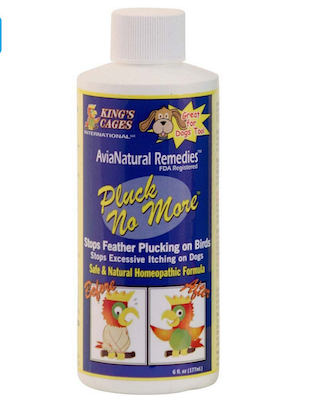 Many people have called to say their feather plucking cockatoos, African Greys, macaws and small birds have totally feathered up in only a matter of 5 weeks since using this great new product. Feather plucking, feather picking & feather mutilation may stop and in many cases the new feathers stay. 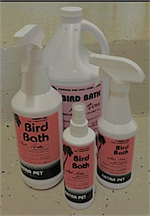 At Parrots Naturally we have found reduction in the above described behaviors in many of the birds we have personally treated and as described by customers buying the product. The most successful cases are those in which early recognition of the problems is followed with action in several directions. Read this article for further information. It may also help with behavioral problems in birds with stress, anxieties, phobias, screaming & biting problems. This product is recommend by some of the most knowledgeable veterinarians in the US as well as famous TV celebrity Marc Morrone (Parrots of the World) who is known for his appearances on the Martha Stewart Show.